Stardock, the company behind such games as Galactic Civilizations, Sins of a Solar Empire, and Demigod has made available The Political Machine Express. 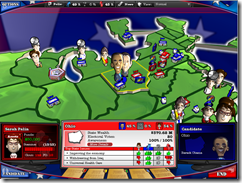 This free strategy game puts players in the role of the campaign manager of either John McCain or Barack Obama in a quest to win the white house. 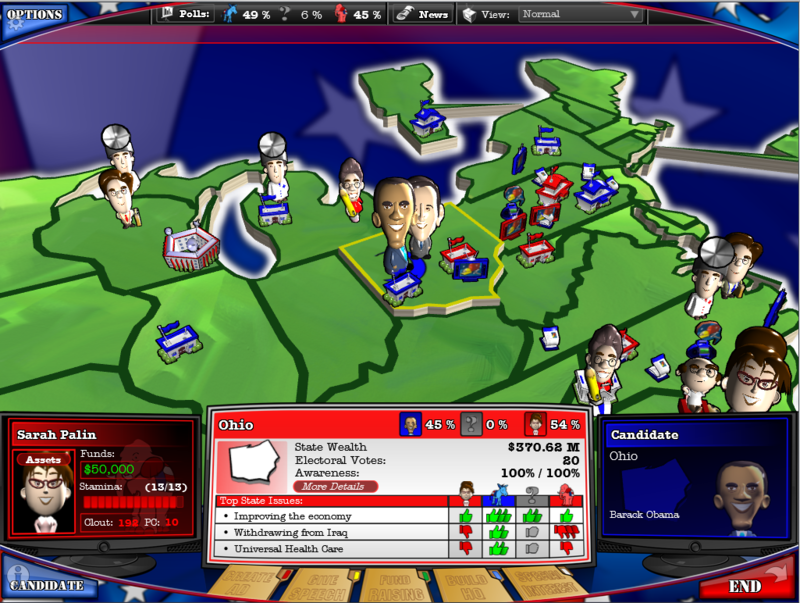 Players play on the electoral map of the United States with the goal to gain the 270 electoral votes necessary to win the election. Players get 21 weeks (approximately the time candidates have between the primary season and the general election) to make speeches, raise money, buy advertisements, hire political operatives, appear on cable TV shows in order to woo voters to their side. 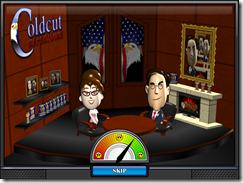 Political Machine Express also includes a print shop which allows players to create their own bobble heads, campaign pins and bumper stickers and print them out on their home printer. 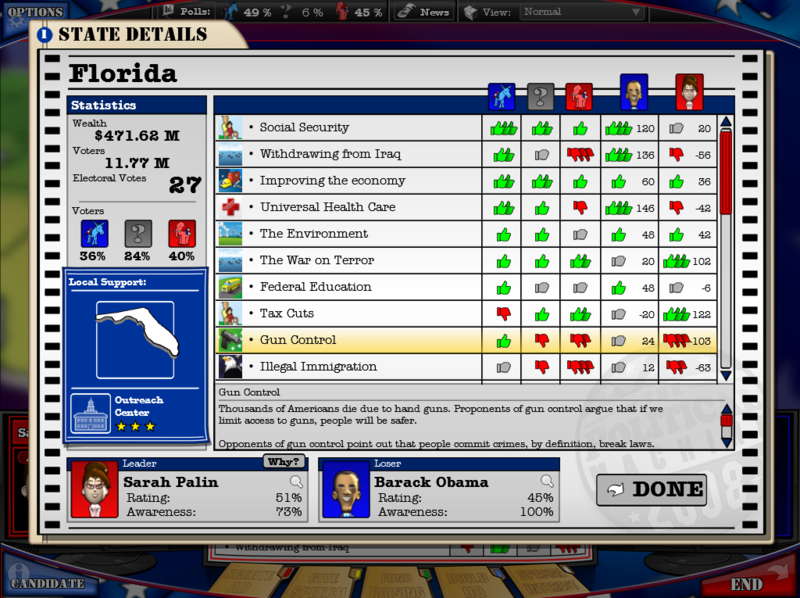 The game requires a Windows PC running either Windows XP or Windows Vista along with an Internet connection. Players can play against either the computer or other people via the Internet. The game includes Impulse, Stardock's free digital distribution platform that allows for multiplayer match making, free updates, and access to hundreds of games and applications. 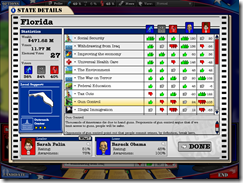 The Political Machine Express is based on Stardock's hit new strategy game, The Political Machine 2008 which is available at most retail outlets. 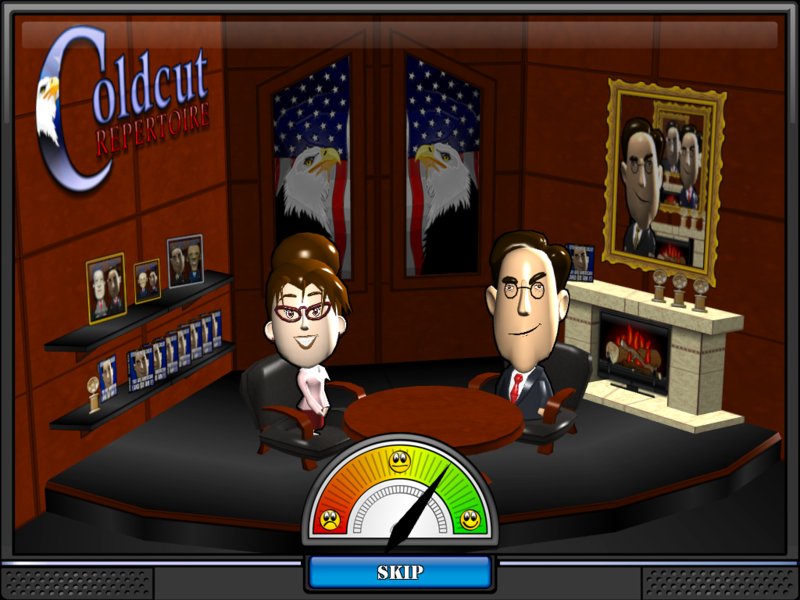 Visit www.politicalmachine.com/express to download the game. Maybe the missing AI VP stole it? That doesn't work for me either. I see only an adobe icon, although I already have that program installed. Some thing in both Explorer and Firefox. Doesn't really matter, I suppose, since I have the full game. Doesnt let me log on to the game?